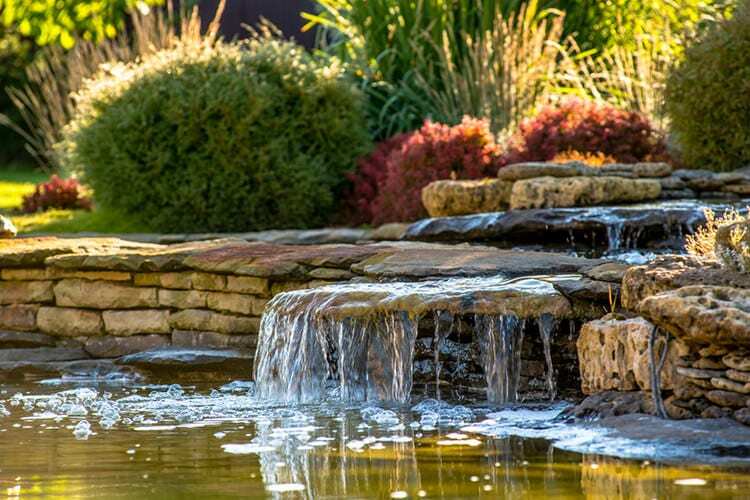 If you have a pool, chances are you put a lot of thought and care into its design and the landscaping around it, but have you thought about waterscaping? Waterscaping is just what it sounds like, landscaping with water. If you have a pond or a fountain, for example, you have waterscaping. Waterscaping can also be used to make your pool a real showpiece rather than just a rectangular hole in the ground. Read on to learn more about how you can use waterscaping to enhance the appearance of your pool. Who doesn’t appreciate the beauty of a waterfall? They are some of nature’s most incredible wonders, but now you can have one in your own backyard. A waterscape waterfall can be a variety of styles and shapes, and they’re usually fiberglass or stone. Your waterfall can be purely for decoration, or you can actually relax under it, and there are pondless versions available, so you don’t have to have a ton of space for one. A waterfall can even be added to your pool itself if you like, as a feature of the actual pool or as something like a wall of water behind it. When it comes to waterfalls, the design possibilities are endless. Fountains are a very traditional way of waterscaping, and they can add real beauty to your pool, whether they are a part of it or nearby. You can choose the type and style you want and even add planters or other additional decorative items. 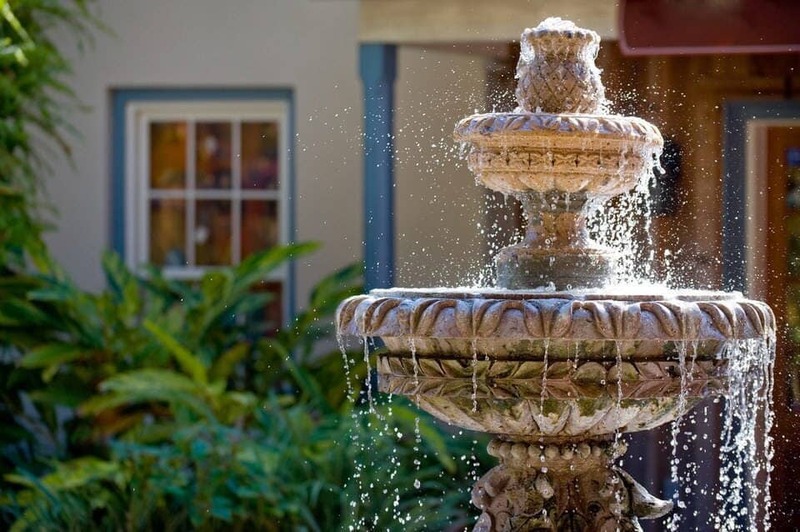 Many people say the sound of a fountain is one of the most relaxing things ever, so if you have a stressful job, it could be just what you need. A water garden can be a show-stopping addition to your pool area and can be completely customized to fit your yard style. With fish, turtles, waterfalls, water lilies, and other plants, water gardens encourage people to stop and sit awhile to admire them. The local birds will also enjoy visiting it, making it even more beautiful. If you really want to do something special with your pool, think about turning all or part of it into a natural swimming pool. 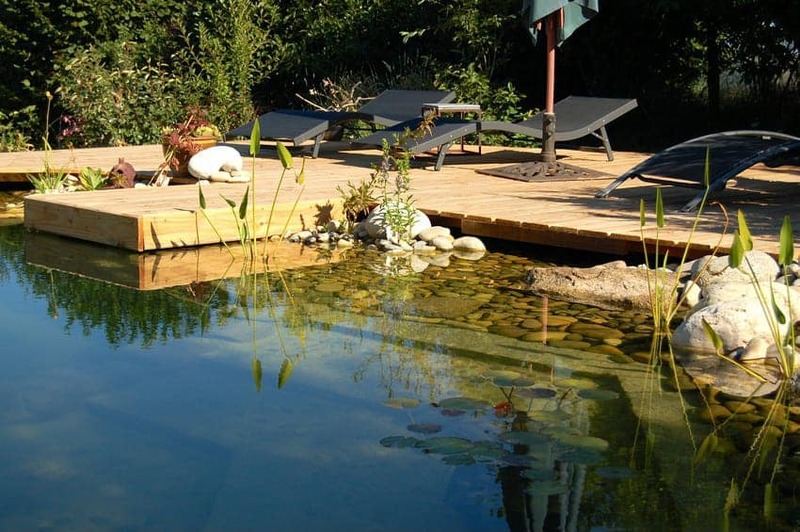 A natural swimming pool uses natural rather than chemical means to keep the water clean. There’s the swimming part, which is clear, clean, fresh water, and the plant area, also called the regeneration zone, where plants and good bacteria clean the water. It then passes through a filter and back into the swimming side. The constant movement of the water prevents mosquito issues and algae overgrowth. Since owners don’t have to buy any chemicals, they save a lot of time and money as maintenance is minimal. These kinds of pools are ideal for people who don’t have the time to maintain traditional pools, are sensitive to the chemicals, or who just want to be more environmentally friendly. Small pools built into your existing pool can provide a cozy place to relax and destress. 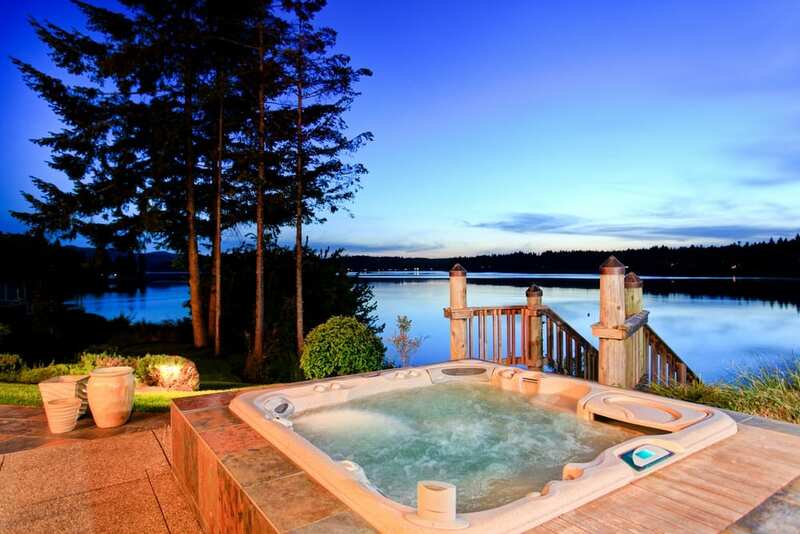 They can be designed like eternity pools or like more traditional hot tubs, and even include waterfalls. The size and design can be completely customized. Many people enjoy having these small additions added to their existing pools so they can have a nice soak and enjoy the outdoors at the same time. Waterscaping your pool can add more beauty and interest to it, and in some cases can make you more environmentally friendly. Waterfalls and fountains can be relaxing and help you destress, while bathing pools will give you a cozy place to unwind and have a good soak while enjoying the outdoors. 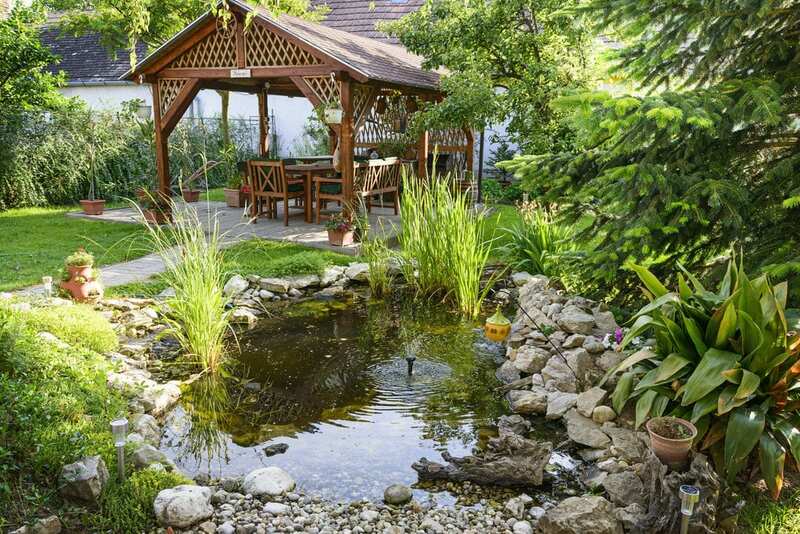 Natural swimming pools and water gardens bring the best of nature into your yard for you to enjoy. Whichever waterscaping additions you chose, you are sure to enjoy them for many years to come.